We all know how rare it is to have a player that is eager and willing to play support in Overwatch. 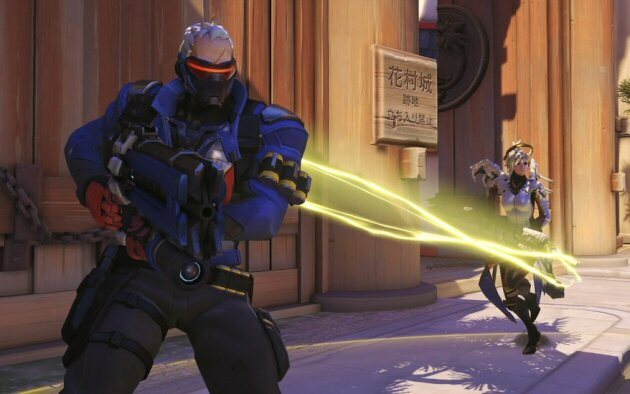 Most folks certainly didn’t buy their Overwatch CD Keys just to heal folks with a healing beam or passively running around and not really killing all that much. When there is a healer, especially in matches between players with low levels, folks that want to adjust to the team comp by picking a healer like Mercy, Lucio, or Zenyatta, they have no earthly idea on what to do and how to play them to their fullest potential. Some just find the role boring outright, but playing a healer in Overatch is just one of the most satisfying and rewarding experiences in the game. Below are two videos, created by Unit Lost of Great British Gaming. He’s got a ton of tutorials on the very basics and how-to’s of ever character in Overwatch. But I’m in the mindset that you don’t really need a tutorial for most characters so long as you play them enough. Supports, specifically healers, on the other hand, might need a bit of external info to learn faster and easier. Among the 3 healers of Overwatch, Mercy is the 2nd most difficult to use, the hardest being Zenyatta, and the easiest being Lucio. She’s right smack dab in between and isn’t exactly easily picked up. First time players might find it frustrating to die a lot of times in a single match and think that she’s a weak character. She definitely takes a lot of getting used to, but she isn’t weak by any measure. Take a look at the vid below to see how she’s played to her full potential as well as a few tips to up your game and some other stuff to watch out for. As it was said above, Lucio’s the easiest healer that has both decent damage and healing – the true middle ground of Mercy and Zenyatta. But, of course, there are still intricacies involved in playing Lucio and he isn’t as simple as jumping in and shooting at random with your speed boost on at all times. Watch the excellently made video below for an amazing Lucio tutorial.